The B.A.R.T. (or, Bartending Automated Robotic Technology) features a clear plastic tray perched on a matching pedestal, which you affix to the top of your robot vacuum. It securely holds up to four beer bottles and four glasses (plus, there's a spot in the middle for party snacks). “Everyone can relate to hosting a holiday party and spending more time running around or cleaning up than actually enjoying spending time with their friends and family," Stella Artois VP Lara Krug said in a statement. 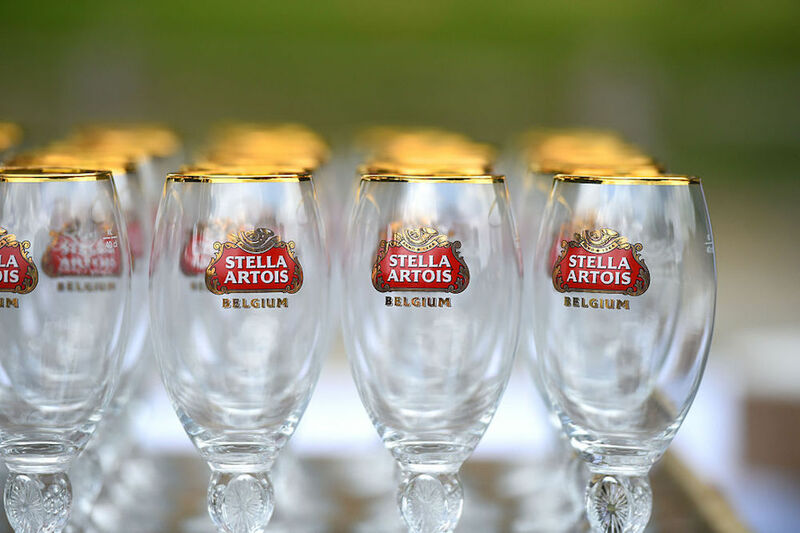 "So this year, Stella Artois decided to make our consumers’ lives a little easier." A drink-proffering robot that cleans up after itself is pretty genius. You can pick up a B.A.R.T. 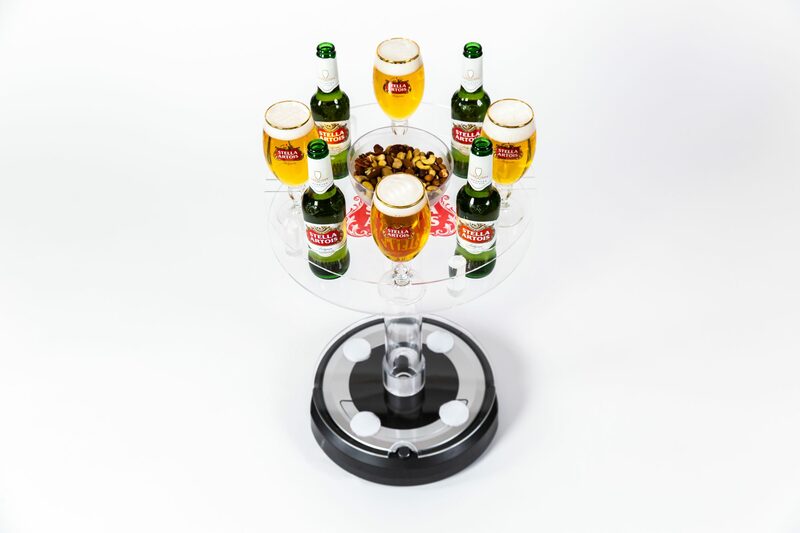 of your own for $20 at stellaartois.com, or, if you're feeling ambitious (and have access to a 3D printer), the blueprints to make one from scratch are available here. Want to hand over all of your hosting responsibilities to party-bots? 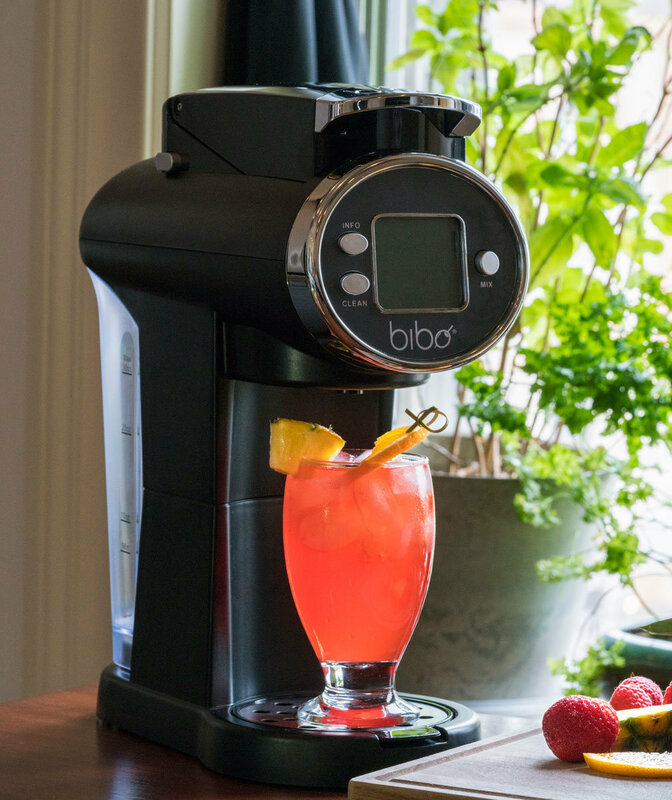 Facebook recently launched a mixology chatbot in partnership with Tito’s Handmade Vodka and Allrecipes. Called Barkeep, the A.I. bartender dispenses cocktail recommendations based on the season, your own customized preferences, and what's trending. It's especially useful if you don't know exactly what you want, but you're looking to make, for example, something that pairs well with red meat, or that uses both vodka and chartreuse. Plus, if you don’t have the right ingredients on-hand, Barkeep gives you the option of ordering them through Drizly (which offers one-hour delivery). The robots haven't turned on us yet, so you may as well have them fetch you some drinks, you know?